Delicious and easy recipe for Patato Croquettes. A fried croquette filled with yummy mashed potatoes. We eat potato croquettes usually at dinner as a side dish, for example a stew. 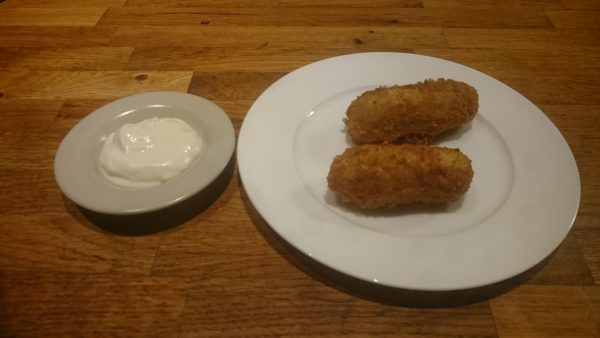 But if they are just fried potato croquette is also delicious to eat right with mayonnaise or mustard or even better, mustard maoynaise with a little lemon juice. Frozen: 5 minutes at 175 degrees.